Statistical quantification of observed seismicity is important for understanding earthquake dynamics and future risk in any seismic-prone region. In this paper, we implement the idea of nowcasting (Rundle et al. in Earth and Space Science 3:480–486, 2016) to examine the current uncertain state of earthquake hazard assessment in the seismically active Bay of Bengal (BoB) and adjacent regions. First, we utilize the concept of “natural time” (Varostos et al. 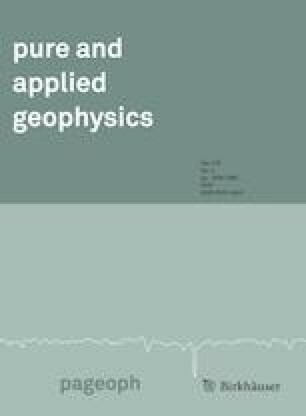 in Physical Review E 71:032102, 2005), rather than clock time, to develop a statistical distribution of inter-event counts of “small” earthquakes occurring between “large” earthquakes. Using relevant statistics of natural time, we then calculate the earthquake potential score (EPS) as the cumulative number of small earthquakes since the last large event in the selected region. The EPS, which provides the nowcast value for a region, reveals the current state of earthquake hazard in that region. Therefore, by indirect means, the EPS provides us with a simple yet transparent estimation of the current level of seismic progress through the regional earthquake cycle of recurring events in a geographical area. To illustrate the nowcasting approach in the study region, we computed EPS values for the two most seismically exposed megacities, Dhaka and Kolkata, considering events of \(M \ge 4\) within a radius of 250 km around their respective city centers. We found that the current EPS values corresponding to M ≥ 6 events in Dhaka and Kolkata were approximately 0.72 and 0.40, respectively. The practical applicability of these values is discussed in conjunction with sensitivity analysis of the threshold magnitudes. Valuable comments and constructive suggestions of two anonymous reviewers are highly appreciated. The Generic Mapping Tool (GMT) developed by Wessel and Smith (1995) was used for preparing some figures. Earthquake data for the nowcasting analysis was obtained from the ANSS global composite catalog and ISC Bulletin catalog. This research was supported in part through an Additional Competitive Research Grant (ACRG) from BITS Pilani provided to the author. The authors report no potential conflict of interest.